A new mobile-friendly registration system has been introduced for 2019, which enables users to access their new Football Account with Facebook and Google log-ins as well as email. An FFA Number is no longer needed to log-in, and family members can each be registered from a single account. However, there are a number of changes those who have previously registered with the My Football Club system will notice, including a requirement to upload a passport-type photo. Please continue reading for important information and details about how to register. 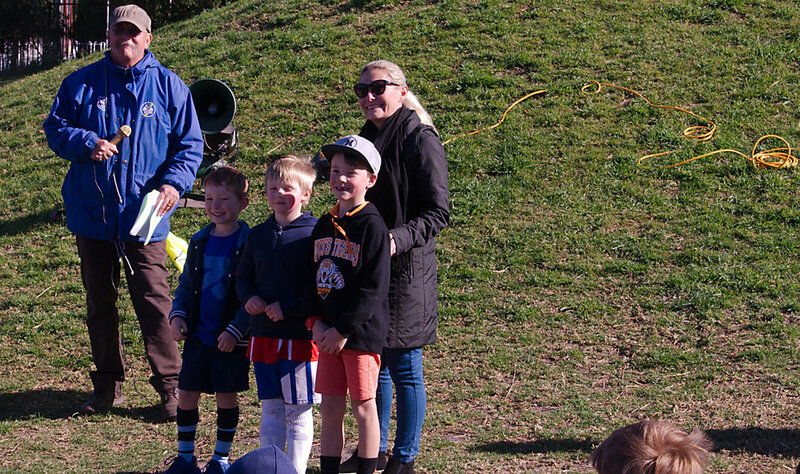 Thirroul JFC has maintained registration fees for all players - from Under 6s Mini-Roos to the Club’s senior men’s and women’s teams - at $180 per player for the 2019 season. (Further details are outlined below). Under the new registration system, there will be different packages to choose from displaying different fees. Please ignore these as the total amount to register with Thirroul JFC in 2019 will be $180 per player. Family Discounts are available and all school-aged players are eligible for a $100 rebate as part of the NSW Government's Active Kids Program. Go to service.nsw.gov.au to claim your voucher code for each eligible player. Go to the playfootball.com.au website or CLICK HERE. Make sure you are on the Thirroul Junior Football Club page and click on the START MY REGISTRATION tab on the bottom right hand side. Create your Football Account using your email address, Facebook log-in or Google log-in. Please Note: FFA has migrated all past registrations to the new system. If you have played previously you will be able to claim profiles from MyFootballClub provided you use the same email address to sign up. To claim your playing history and other details you will need to use the same email address used to register on the former MyFootballClub system. After logging in to your Football Account you will be presented with a list of matching profiles from MyFootballClub where the email addresses match. Click “continue” and you will be presented with a list of packages or “products” offered by Thirroul JFC. Select the relevant package and a new page will open detailing the $180 fee for all Thirroul JFC players. Click “continue” at the bottom. The next page asks you to check your personal details, including Emergency Contacts. After doing so click “continue”. You will then be asked to upload a passport-style photo. Continue to the Terms and Conditions, including Code of Conduct. After accepting these you will continue to the final page for payment. Thirroul JFC will not accept registrations as completed until the club has received full payment. Note: All Junior packages, including Women’s Youth Grade, will have a list of mandatory questions. These are only for Mini-Roos - aged U6s-to-U11s. However, they can not be left blank so please type N/A if they are not applicable. For further assistance with using the new registration system, CLICK HERE. 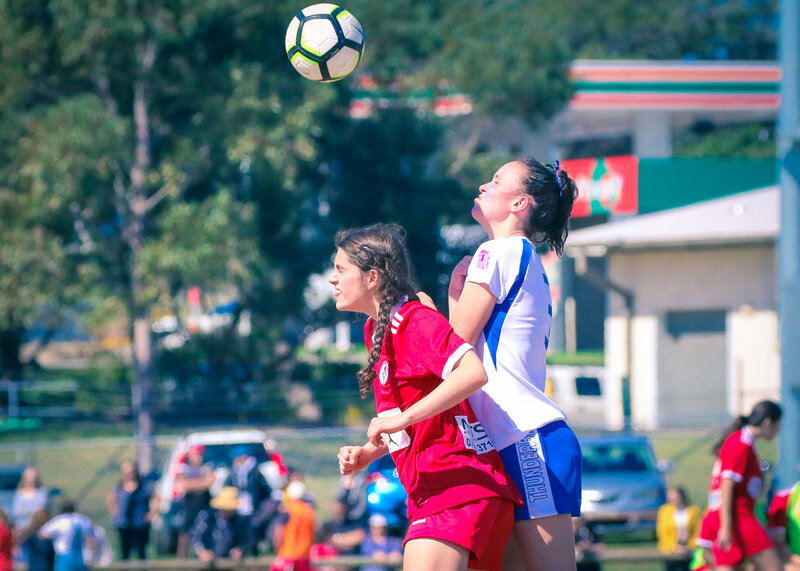 The committee of Thirroul JFC has decided not to pass on any increase in fees from governing bodies this year to maintain a registration fee of $180 for all players in 2019. This includes FFA, Football NSW and Football South Coast fees, as well as insurance, ground hire and lighting at Gibson Park, referees fees. uniforms, trophies and maintenance costs, such as field maintenance and equipment. 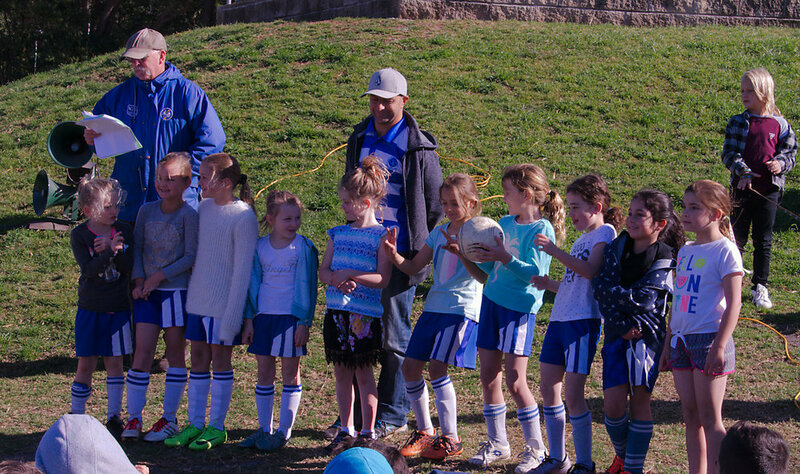 It is a policy of Thirroul JFC that all players pay the same registration fee, whether they play Under 6s or First Grade for the Thunder or Thunderbirds. However, the families of Mini Roos players (Under 6s to Under 11s) are not required to perform canteen duty during the season. Where a family has more than one player registering with Thirroul JFC, the following scale will apply – $180 each for the first two players and $150 each for all other immediate family members. The $30 discount applies across the club for players in junior, men’s, women’s and amateur teams. The Family Discount for three players can be obtained during the registration process if all family members are registered using the same Football Account. In all other instances, the club will reimburse those who are eligible. Thirroul JFC will hold Junior Registration sessions at Thirroul Bowling Club on Saturday, 2 February from 10am-2pm and Thursday, 7 February from 6pm-8pm. Ann Odong, founder and editor of The Women's Game website, photographed the FSC female grand finals for the launch of the FFA's bid to host the 2023 Women's World Cup. Get behind the bid and support The Women's Game. Thirroul JFC would like to than Ann, the FFA and FSC for sharing her photo of the Thunderbirds WYL, W16s and W15s grand finals. Click or tap on a photo to view a slide show. The Thunderbirds WYL team created history when they became the club’s first senior women’s side to both win a Grand Final and achieve the League and Grand Championships double. 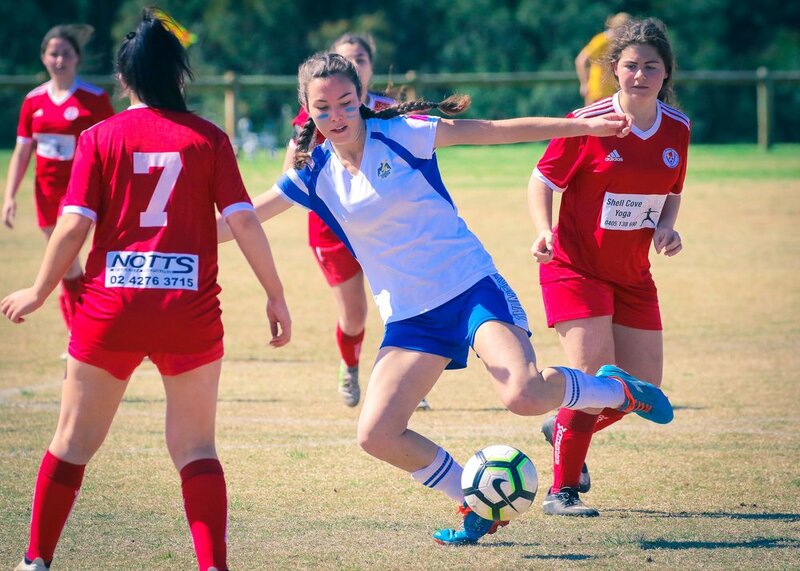 The Thunderbirds beat Warilla 1-0 in the Grand Final at Myimbarr Field to cap off a season in which the team finished top of the inaugural Women’s Youth League competition after losing just one match. The team will now represent Football South Coast in the FNSW W21s Champion of Champions, with pool matches against St George on October 7 and Nepean on October 14. Thirroul JFC had three other teams in Grand Finals at Myimbarr on the weekend of September 7-9. 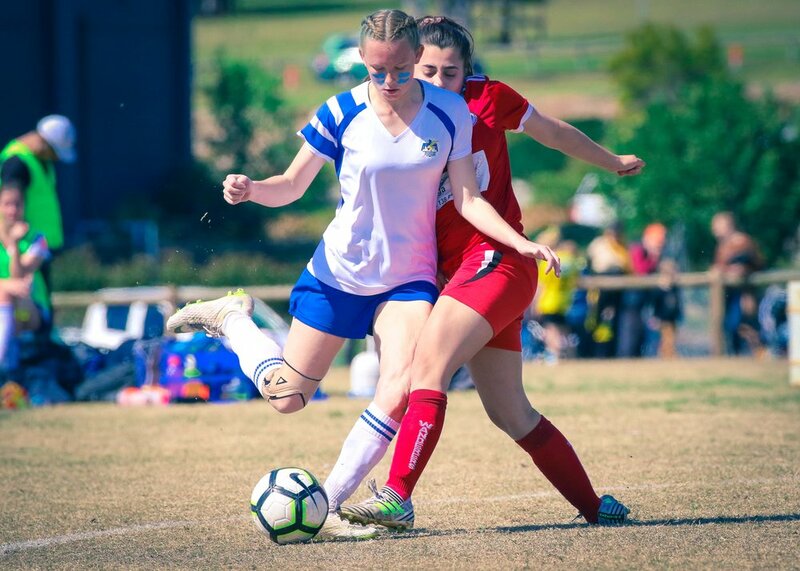 The Thunderbirds W16.2 team lost 2-1 to Bulli and the W15s Thunderbirds went down 3-0 to Shellharbour, while the Thunder U16.2 side were beaten 2-1 by Kiama. Thirroul JFC is pleased to announce the appointment of John Cropper as Thunderbirds Women’s Division 1 Coach for the 2019 season. John has an extensive coaching background at all levels of the game, including stints in charge of Woonona and Wollongong Olympic First Grade Men’s teams. He has also achieved success with Bulli Youth Grade, and most recently coached Thirroul Thunder Youth Grade team in 2016 and 2017. John was also involved with the Thunderbirds Youth League team which made the final of the 2016 and 2017 FNSW W21s Champion of Champions tournaments. He has coached players who have gone on to play for the Socceroos or at A-League level, as well as first grade for the Wolves and Stingrays. With his background and experience, Thirroul JFC believes John is an ideal coach for the Thunderbirds Division 1 team next season. 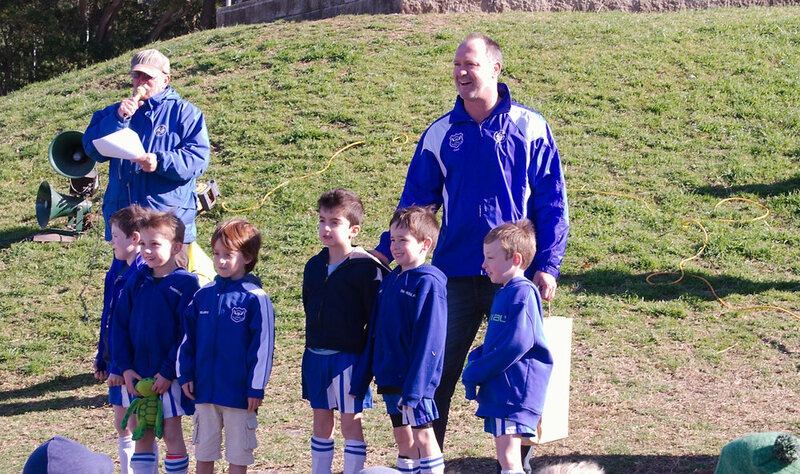 John will continue in his role as Thirroul JFC Mentor: Coaching and Development. Thirroul JFC wishes to thank Tina Siskoska for her efforts as coach of the Thunderbirds Division 1 team for the past two seasons. The Thunderbirds had the youngest team in the 2018 FSC Women’s Division 1 competition and Tina oversaw the development of many players into the first grade squad, which will benefit the club next season and in the future. Tina advised Thirroul JFC at the end of the regular season that she would not be able to continue in the role next season and has endorsed the appointment of John as the new Thunderbirds Division 1 coach. High School Teacher: Physical Education (38 years). State League: South Coast United, Balgownie, Penrith. First Grade: Woonona; Wollongong Olympic (2015). Youth Grade: Wollongong Olympic; Bulli (2011-2014); Thirroul (2016-2017). Juniors: Thirroul, Tarrawanna, Wollongong Wolves. School: Keira High; South Coast Regional Schools. Level C coaching Certificate/Advanced Pathways (Senior). Grading sessions for players in age groups where Thirroul JFC has more than one team will be held under the guidance of John Cropper from next weekend. Grading only applies for players in the Under 12s and older age groups. Only players who are registered with Thirroul JFC will be permitted to take part in grading trials. Players taking part are required to wear boots and shin pads, and to bring a water bottle. Below is the updated schedule for grading sessions. Refereeing is a great way to be involved in the game - not only do you get to see all the action from the best position on the field, but it will keep you fit, you will meet new and interesting people, and earn money at the same time. The Level 4 Referee Course provides participants with education and training to become a referee. The course consists of theory modules, practical sessions on a pitch to enable referees to begin refereeing at community level. The aim of this program is to educate new referees on the FIFA Laws of the Game and disciplines of refereeing, to uphold these laws, standards of the game and contribute to the enjoyment and fair play of football. If you are interested in becoming a referee or know someone who is, the dates for upcoming Referee Level 4 courses have been announced by Football South Coast. Registration is via the Football South Coast website. Go to the referee's tab and follow the instructions. The first course, on 26th and 27th February, is full so those who are interested should get in quick to register for the second course. Cost: $100. Extra costs for Gear and uniform, once course is completed. The course does include a field component, so you will need to wear approriate clothing (boots NOT needed) and if wet weather the course will still be on. The NSW Government initiative of the Active Kids Rebate is now available to be redeemed from Service NSW. If you want to claim the $100 Active Kids Rebate before registering, or have already registered and chose the "deferred"option, please go to service.nsw.gov.au/transaction/apply-active-kids-voucher or click here. The rebate is aimed to help reduce the barriers for families wanting to have their children participate in the activities of sport and fitness, by helping with the cost of wanting to be a part of a sporting community. Therefore the NSW Government has allocated each child aged from 4.5 - 18 years' old and enrolled in full time school a $100 voucher, which can be applied to the overall cost such as registration and other sign up costs. The child applying for the voucher must be enrolled in school (Kindergarten to Year 12, including the home-schooling system). Or enrolled in a secondary education such as TAFE NSW, for those early school leavers who are still under 18 years of age. The voucher will be available to be used from its release (31st of January 2018) to the end of the calendar year (31st of December 2018). If it is not used after this date, the value of the voucher will expire and will not be valid for use in 2019. After applying for your voucher, head to the Play Football website to register for your Club. To apply the discount to your registration, at the invoice screen enter your code you receive into the “Active Kids Voucher” field and your registration will automatically be updated with the discount. Club officials will be on hand at each session to assist with the registration process, take photos of players for ID cards and provide information about the coming season. New players are required to bring a birth certificate or other proof of their date of birth. Uniforms and merchandise will also be available to purchase at the Junior Registration Sessions, while Thirroul JFC Mentor: Coaching and Development, John Cropper, will be in attendance. For further details about registering, including information about how to claim the NSW Government's $100 Active Kids Rebate for school-aged players, go to Register 2018 on this website or click here. The club will soon announce dates and times for grading sessions if required for teams playing in the U12-18s competitions. These will be held in early-mid February so teams can be finalised to submit to Football South Coast for the creation of a draw. Please note that Thirroul JFC has this year introduced a $20 administration fee for de-registrations. A Women’s Youth League competition has been introduced for the 2018 season for all female players aged 17-to-21. The Women’s Youth League is jointly run by the Football South Coast Junior and Women’s Councils and will be an expansion of the W21s competition to include teams who would have played in the W17/18s competition. The teams will be graded into divisions with other teams of similar ability rather than by age only. The reason for introducing the Women’s Youth League is to create more even competitions for teams and players as they transition from juniors to all-age women's competitions. A number of other associations, including Canterbury, have adopted this model with positive results. Below is a basic outline of the competition. This is a competition for players aged between 17 (turning 17 before December 31, 2018) and 21 (turning 21 before December 31, 2018). The Women's Youth League would be graded into divisions based on the ability of teams. The Women’s Youth League will enable teams to stay together longer and provide an easier transition to all age competition. There will also be greater scope for clubs to form teams by combining W17 players with W18 and W21 players. This will increase the variety of the competition (more teams, more divisions, and the opportunity to play different teams). Teams will be matched against opponents of similar ability, which improves the quality of playing experience much more than being matched on age only. Statistics show a drop off in playing numbers for female players in their late teens. As a result, there has been a disparity between the ability of teams in each of the U16s, U17/18s and W21s competitions. FSC conducted a survey of players in these age groups who had not returned to the game in recent seasons and this was cited as one of the reasons. The aim of a Women's Youth League is to provide two or more competitive divisions and to ensure that teams play against other teams of a similar ability. The Women’s Youth League allows teams to stay together as they transition from W17/18s to All Age Women’s competitions, and means that clubs do not have to dissolve teams that have some players outside the age requirements, or lose teams that have faced much stronger competition. If all teams from the 2017 W16s, W17/18s and W21s competitions returned in 2018 there would be 25 teams in the Women's Youth League - enough for up to 3 divisions. Players in the W16s competition can be borrowed into the Women’s Youth League competition (maximum of three per team per game). The WYL Committee has the discretion in exceptional circumstances to allow a player turning 16 in 2018 to register with a Women’s Youth League team. No over-age players have participated in the team during the FSC Women’s Youth League competition. Football South Coast will nominate a team for the W21 Champion of Champions, which Thirroul has competed in for the past two seasons. Junior Registration to play for Thirroul JFC in 2018 is open online from Wednesday, 3 January. Thirroul JFC will also hold Junior Registration sessions at Thirroul Bowling Club at 10am-2pm Saturday, 3 February and 5.30pm-8pm Monday, 5 February. To register online, Instructions - including a link about the $100 Active Kids Rebate - are detailed below. For those wanting to claim the Active Kids Rebate, it is important that you read the information about how to do so BEFORE registering. The Registration Fee for all Thirroul JFC junior, men's women's and amateur players in 2018 is $180. All school-aged players are eligible for a $100 rebate as part of the NSW Government's Active Kids Program, aimed at encouraging more children to participate in sport. However, parents can not apply for the rebate until January 31 so there have been some changes to the registration process to ensure they can use it for the 2018 season. These are included in the link above for instructions on registering. Those choosing the "Active Kids" deferred payment option must register on www.service.nsw.gov.au from 31 January to obtain your "voucher code" for each child. Once you receive your "voucher code", return to the registration process for the eligible player in myfootball.com.au and enter the code. Upon doing so, please email details - including the name of the player - to registrar@thirroulfootball.com.au so that the club can ensure the rebate is received. Registrations can not be completed until this has been done. The Active Kids rebate is available to every child aged between 4.5 years and 18 years in 2018 who is enrolled in school from Kindergarten to Year 12. This includes those who are home schooled or enrolled in secondary school education at TAFE NSW. Each child is eligible to claim a $100 Active Kids rebate once in a calendar year to use for any sporting activity. For further details about the Active Kids Rebate, please read the following attachment from the footballnsw.com.au website. View the Player Registration guides and videos which are on the Resources page of the playfootball.com.au website. Call FFA Support Centre (02) 8020 4199 if you are having problems with your password to login. The Thunderbirds W21s will play Epping FC in the grand final of the Football NSW Champion of Champions at 1.30pm Sunday at Valentine Park. It is the second successive year that Thirroul has played Epping in the W21s decider and the players are confident they can become the club's first senior women's team to win a state title. The path to the final has been similar to last year, with the Thunderbirds coming from behind to level the scores against Gymea United in the quarter final before winning a dramatic penalty shootout and last week downing Penrith FC 5-0 in the semi-final at Marconi Stadium. Eight of the squad who will take the field on Sunday played in last year's Champion of Champions and the team is again coached by John Cropper, with assistance from Brad Walter, Amy Ziebell, Tina Siskoska and Corey Haines-Gross. A big thanks to Lin Hampton for filming all the Thunderbirds games in the Champion of Champions - and some of Lin's footage was used in Thursday night's WIN TV report. The team also received a mention in the Illawarra Mercury - along with Albion Park, who are playing in the All Age Women's final. Thirroul W21s and Albion Park are the only teams from Football South Coast to qualify for this season's Champion of Champions grand finals. Thirroul JFC will hold its Annual General Meeting on Sunday, 5 November, 2017 commencing at 4PM, at Thirroul Bowling Club, Station Street, Thirroul. Nominations must be made in accordance with the Club Rules, nominators and nominees must be full club members or life members. Nominations should be made using the Club Committee Nomination form and should be returned to the Club Secretary at either of the addresses below. Nominations close at 5:00 PM on Friday 3 November 2017. Nominations close at 5:00 PM on Friday 3 November 2017. Thirroul juniors Dylan Ryan and Reagan Ogle have been included in the new FIFA18 game. Dylan, who plays for Dutch club Willem II, played for Thirroul JFC until being chosen for the Skillaroos in 2010 and earning a place in the NSW Institute of Sport program. The 17-year-old defender enjoyed a stint at Liverpool after being spotted by the club's scouts at a tournament in Manchester in 2015 and he recently moved to the Netherlands on a three year professional contract. Reagan, who played in the same Under 11s team as Dylan, is now playing in the top team at English League Two club Accrington Stanley. Also a defender, 18-year-old Reagan joined Accrington Stanley's youth academy on a scholarship after moving to England with his family to pursue his dream of becoming a full-time footballer and in May he was offered a two-year full-time contact with the club. Congratulations to Matilda Davis-Raiss of Thirroul Thunderbirds W21s team on winning the Football South Coast women's Goalkeeping Development Award at the 2017 presentation on Saturday night. Matilda was nominated for the award by goalkeeping coach Belinda Barter for her enthusiasm, commitment and ability during the 2017 season. In addition to the W21s, Matilda played regularly for the Thunderbirds Division 1 teams. Team-mate Cara Baker was a finalist in the FSC W21s player of the year, while Alex Pritchard was a finalist for the Division 3 player of the year. Congratulations to the W16.2 Thunderbirds and U14.3 Thunder for making it through to the FSC Junior Grand Finals this weekend. The U14.3 team, coached by Ryan Figueroa, will play Tarrawanna - the team they beat in the major semi-final to advance to the grand final - at 2pm, Saturday at Unanderra Oval. 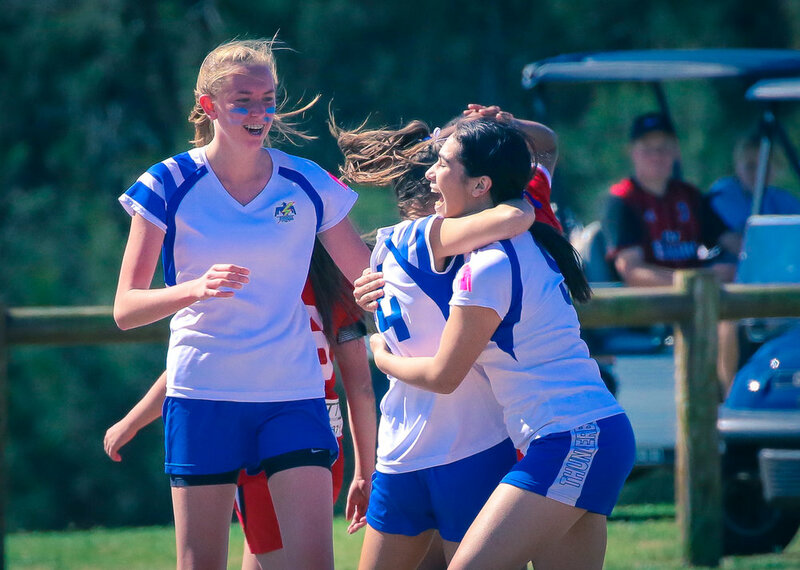 The Russell Forbes-coached W16.2 team qualified for the grand final after beating Kiama last weekend and will take on Dapto at 8am on Sunday at Unanderra in the first match of a massive day of female football deciders, from Under 12 Girls to Division 1 Women. 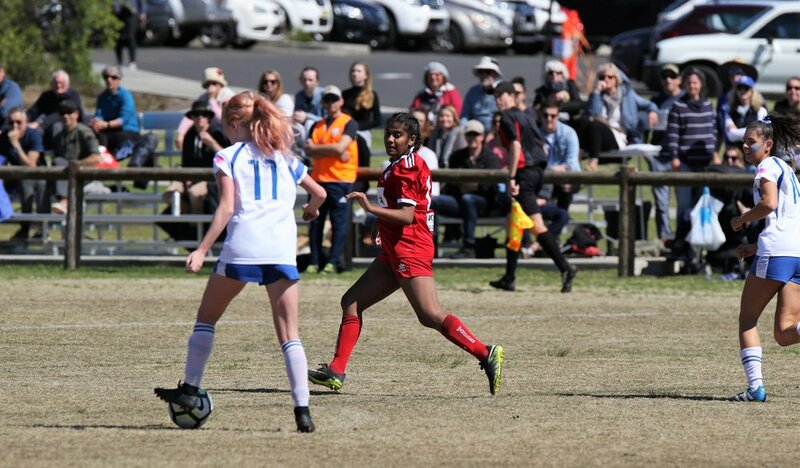 Unfortunately, Thirroul JFC's W12.1 and U15.2 teams both went down in their preliminary finals on penalties, while the W14.1 team was beaten 1-0 by Shellharbour and the U13.3 team lost 2-1 to Coledale. The U12.2, W13.1, W18.2 and W21s teams were all eliminated in the previous weekend's semi-finals. Please come and support those teams in the grand finals this weekend. Congratulations to the Thirroul JFC teams who have qualified for the finals of their competitions. The Thirroul U12.3, W12.1, U13.3, W13.1, U14.3, W14.1, U15.2, W18s and W21s teams will all play semi-final matches this weekend. The W16.2 team plays next Sunday. Please get out and support these teams during the finals series. The full FSC Juniors final draw is below. A big thank you to all of our wonderful Mini Roos for a great season and their parents and families for supporting them. Here are some photos from the 2017 presentation on Saturday, August 19 at Gibson Park. Thirroul Junior Football Club is saddened by the loss of club stalwart and Life Member, Doug LePage, who passed away peacefully at home last Sunday after a courageous battle with cancer. Doug's contribution to our club was enormous, especially in the mentoring and development of young referees, and he continued to attend committee meetings until recently. "He was a kind, gentle soul who always looked out for the welfare of our young referees," Thirroul JFC executive member Peter Harkin said. "I’m hard pressed to ever recall Doug losing his temper and he always seemed willing to stick his hand up to do tasks. "Even in the later stages of his illness he volunteered to do the barbecue when he could. A quiet achiever who was always the gentleman. Sadly missed." 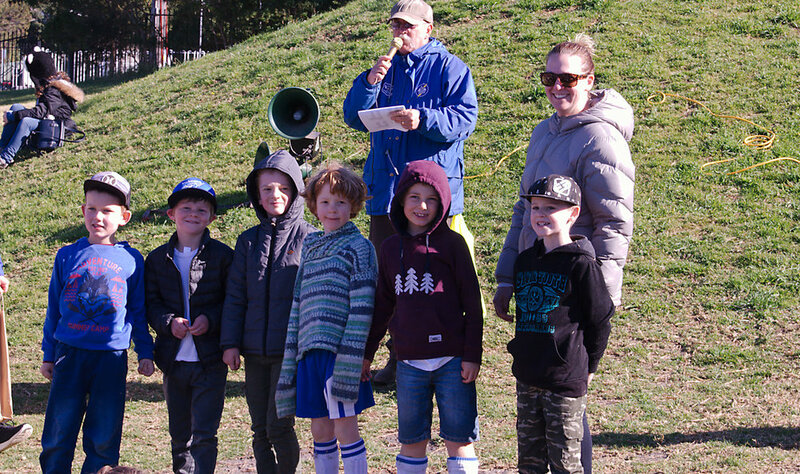 Long serving Thirroul JFC registar Debbie Crawford said: "Over the years I have known Doug – two of his boys, Tim and Joshua, played for Thirroul – he never lost his cool. He was quiet and studious, enjoying a chin wag and a beer with mates." The club extends its deepest sympathies to Doug's wife Patty, his family and to all who knew and loved him. Relatives and friends are invited to attend Doug's funeral service to be held in the chapel, Parsons Funeral Home, 278 Princes Highway, Bulli on Friday, August 18, 2017 at 12noon. In lieu of flowers, donations can be made to Relay for Life (Bikini Girl's & Friends).